Happy Tuesday, my peeps! Hope your week is off to a great start! We had some super cold weather headed our way. They even canceled school because the roads are supposed to be super icy and scary. We are hunkering down and trying to keep warm and the kids are praying for more snow! I hope we get some! They are so excited!! 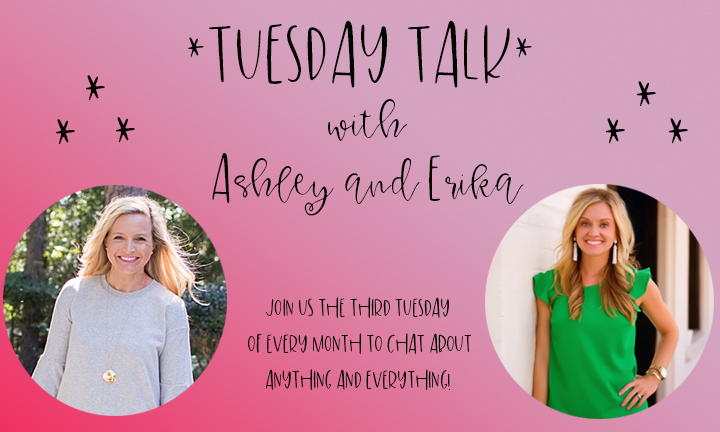 Anywho, it’s the third Tuesday of the month, so Erika and I are back with our monthly series, Tuesday Talk! We enjoyed it so much last year, that we decided to keep it going this year, too! Yay!! We’d love for you to join us and linkup each month! 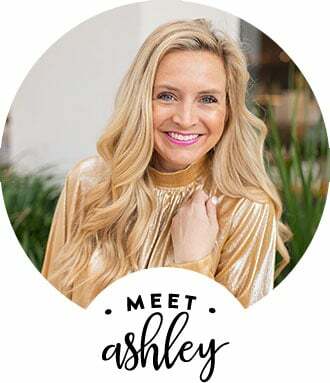 One of the main questions I get asked are about my favorite beauty products, so I decided to round up my twelve, tried and true, ride or die, products that I can’t live without! Like these are the products I use on a daily basis and love and need!!!! Take a peek! WAND– I love a good curling wand and this one is a new favorite! Ive used a few months now and truly love it! It gives me great waves and heats up in no time!! MAI TAI SPRITZER– Salt water spray is essential for me. My hair is bone straight. This helps texturize my hair so that it holds the waves better! TRIPLE SEC– This product is another must. This salt water spray and this go hand in hand! I need both for texture. This is how my waves stay all day and sometimes for a few days! Anytime I curl my hair, I use this! HAIRSPRAY– This is a must! I always spray my hair after curling. Another essential to help hold my waves! LIPGLOSS– I love a good lipgloss. I cant ever go with just lipstick. I always need a gloss on top! This is a fave. I also love THIS GLOSS and THIS GLOSS! LIPSTICK (color: #49)- My tried and true bright pink lippie! This is my all time favorite color! 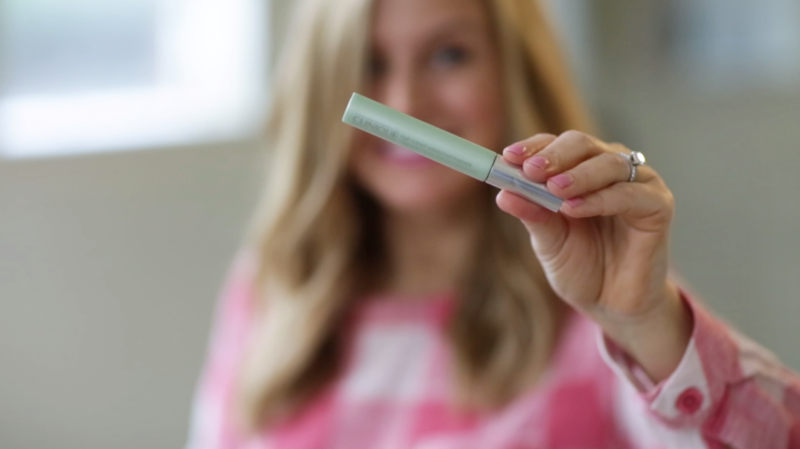 CONCEALER– This stuff is life changing! It’s seriously amazing! I am thrilled because they just came out with a new FOUNDATION and I can’t wait to try it! I ordered the HYDRATING FOUNDATION and the MATTE FOUNDATION to try them both! FACE WASH– I have super sensitive skin and this wash has been amazing! I love it! I use it am and pm! 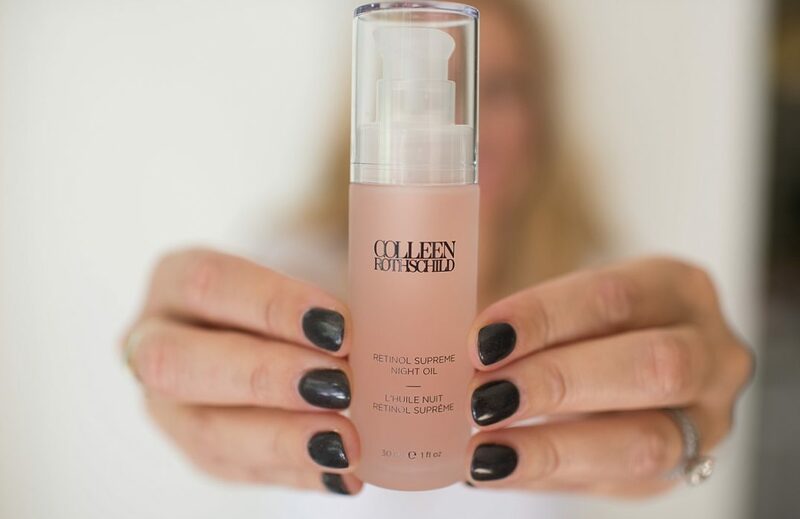 RETINOL OIL– This stuff is life changing for aging skin. I’m seriously obsessed! LOVE it! BODY BUTTER– I have such dry skin, especially in the winter! This body butter has been amazing. I go through it like crazy! SHIMMER BRICK– I always add shimmer to my face, no matter what season. This shimmer brick is my go to. 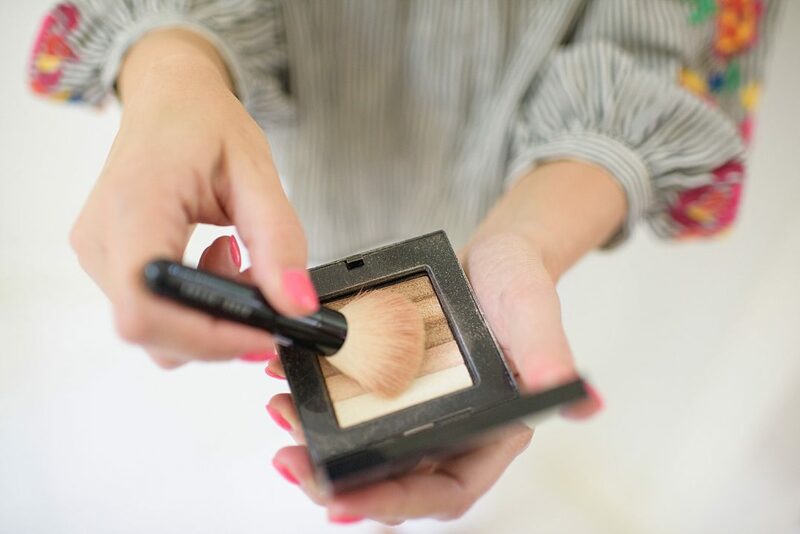 I sweep it on my cheeks after blush and bronzer! WATERPROOF MASCARA– My eyes water a lot, so waterproof mascara is a must. This is my tried and true fave and I’ve tried a lot of mascaras! I prefer one with no fragrance or added junk! I also love this MASCARA. It’s great and totally safe!! 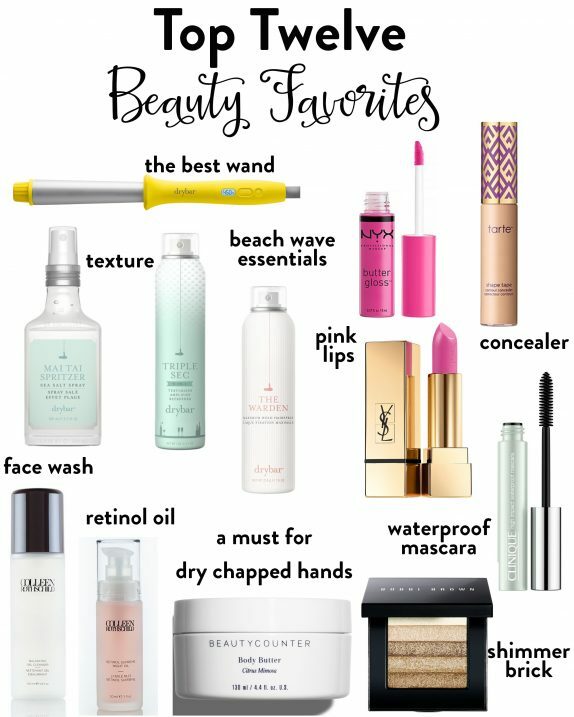 Are any of these products your faves too? If not, which do you want to try? Love them all! Have a great Tuesday! Be sure to linkup with us below with your Tuesday Talk post! We’d love to hear what’s on your mind! See what Erika is chatting about here! XO! I need to try that mascara. I recently got contact lenses and need a waterproof mascara to avoid flaking etc into my eyes. Thanks for the fun link up!